I took my mind off kitchen gadget experiments and focused on other interesting projects this week. First I tried to organise a big dancing evening to Guilty Pleasures, a cheesy club night at Koko Camden. An invitation to skin a cat may have received a more rapturous response. Then I decided to ditch my 80s-style superbitch look and brighten up my wardrobe. This worked slightly better and I can’t wait to unveil my new look at tomorrow’s karaoke party (may the Lord help them all). In the midst of party planning and serious shopping, I also managed to cook two very delicious version of potato and cauliflower curry – aloo gobi and aloo phulkophir dalna. Aloo gobi is the dry North Indian way to make it and aloo phulkophir dalna is the Bengali curried style. I received requests for both recipes and it’s a great way to show how the same dish can differ hugely depending on the part of India it comes from. I’ll start with aloo gobi, the dish immortalised by the unreasonable aunty in Gurindar Chaddha’s Bend it Like Beckham. It is eaten regularly by North Indians and Punjabis, especially in winter when cauliflowers are in season. Heat the oil and fry the onion, garlic and ginger. Throw in the potatoes, all the powders apart from the garam masalas, add a tiny bit of water, cover the pot and cook the potatoes. Don’t add too much water but make sure there is just enough to cook the potatoes. When the potatoes are almost cooked (you will be able to insert a fork into the potatoes with some difficulty), add in the cauliflower. Again, cover the pot and cook until the cauliflowers become soft and a fork can be inserted into them easily. It’s very important to add the cauliflower when the potatoes are almost cooked or they’ll be overcooked. Add salt and sprinkle garam masala and fresh coriander to finish. This dish should be served bone dry, ideally with some naan or roti. i actually bought the cawliflower after your email, in anticipation…! I’m looking forward to trying this version of aloo gobi. It sounds terrific! Your description of the Bengali version sounds awesome too!! Can’t wait to try them both. I think the Bengali version must be the version I encounter most often in Indian restaurants near me. I would like the cauliflower to be more coated in the seasonings than they were. The potatoes turned out tasty, but I think salt should be added to the water to bring out the flavors more. I added salt at the end, and it helped, but it was not as flavorful through and through as I had hoped. Also, I think I might sautÃ© onions in a separate pan and add them at the end. The onions I added were so limp and without flavor after the cooking process that they didn’t seem to add much to the dish. I think I might not use the chilli powder next time and just get the added heat from the garam masalas as it’s a bit hotter than I am used to. What do you think of the idea of sauteing the onions and adding them later? I would still put onions in at the beginning, but did you find them limp and tasteless by the end of cooking? And what would you do to better coat the cauliflower with the flavors from the spices? The cauliflower in your picture is not what mine looked like. Mine didn’t have anywhere near that beautiful color. Maybe I did something wrong? Marc – Oh nooooooooooooo. I wish I was there to see what went wrong first time. Are you sure you used all the correct spices? Maybe it’s something to do with their strength? I wish I knew what went wrong with the colour. With the onions, all they could give to the dish they would have anyway by then end. So no need to worry about them being tasteless. 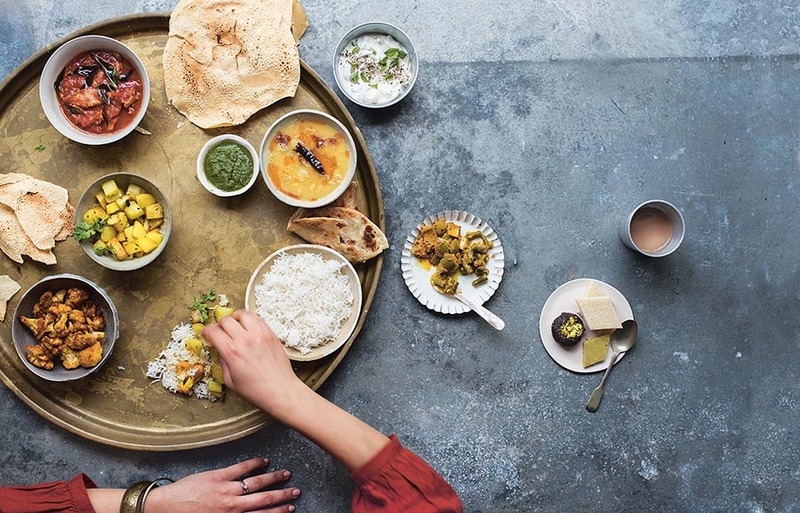 With Indian cooking, it’s more about how things come together. usually the onions go limp and mashed up anyway. With the flavour, you really need to go in quite vigorously and stir the raw cauliflower to get it coated with all the masalas. As the potatoes go in first, the cauliflowers need more tlc to make sure they get their fair share of masalas. Finally, will you try using a bit more of the powdered spices next time? Just in case they are weaker than what I get here? Oh and also, salt early on is always a good idea. Don’t let this put you off, will you? I tried this recipe and it was finger licking good. No more mushy cauliflower. I have made this twice now and it comes out quite well. I’m very happy with it. Thanks for the recipe! One question – the “chilli powder” to which you refer – is that cayenne pepper or a different type? It turns out well with cayenne pepper but is very spicy and I just wanted to make sure that was correct. It is cayenne pepper. In England, we just call it chilli powder because it’s a mix of many different types of chillies. Generally, I tend to keep this on the low side, because I’m terrible with chillies. But it’s impossible to say how strong each brand of cayenne pepper is, so please add a little at a time and see how you go. I now live in thailand and its hard to get good indian food ,so your website is great for me ,I,m not good at cooking but your recipies are easy to make ,I,m a cooking convert,my mates keep asking for more tho ! Although I did find it a little short on a certain depth of flavour and was quite dry without having to resort to oil drizzling, so I added in 1 finely chopped tomato. It turned out moist and yummy. Very disappointed! I followed this recipe exact and it was incredibly bland and much too dry. I had to doctor it up in order for it to be palatable. Sorry, but this one as is – is a dud. Haven’t tried this version–the Aloo Gobi Mattar Bhaji recipe I have says to dice the potatoes (about an inch cube), then cook all vegetables at once (15 min on medium heat, covered with small amt water). I like this because I can assemble it in the (cast iron) skillet, then just leave it to cook. I usually use more of the spices than this version, too, including grated fresh turmeric root that I keep in the freezer, like my gingerroot. I’ve been using coconut oil as a healthy, high-heat cooking oil. Some say it gives a little hint of coconut flavour but I don’t notice it. Regarding the previous comment re: cumin/dementia–turmeric is associated with immune system, inflammation, and memory as well–use a lot of it! Black cumin seed inhibits histamine release, so taking it during allergy season is a great idea. Keep the recipes coming! I have yet to eat an Indian dish I didn’t like! Thanks for you book. I am working my way through the recepies. I tried the aloo gobi but I think I was expecting phulkophir dalna similar to my mum’s so I was a bit disappointed at the time. Looking forward to trying the phulkohir dalna. Is the recepie on the blog? Going to try this as a side for a fish (bass – cunningly captured from the surf with my own shovel like hands :-)) curry tonight. Will let you know how it turns out – but from what I’ve read so far it’ll be good. Thank you for the recipe Mallika, I used the version from your book. I really want to like this dish badly, but it’s not working well for me. The problem is twofold: the potatoes and cauliflower burn or stick to the bottom of the pan, and even after 30 minutes of cooking the potatoes and cauliflower were still not soft. I’ve tried preparing it more than once with what I think are a stainless steel and an enamelled cast iron cooking pot, as far as I know these are not non-stick, could that be the problem? I don’t understand why the second problem, the potatoes and cauliflower not getting soft, happens, because the lid seems to fit tightly and doesn’t seem to let any oil ‘vapour’ or water vapour escape. In your book you wrote one tablespoon of water should be added, but I added more like three, and halfway through the cooking three tablespoons more because everything had evaporated and stuff started sticking to the bottom of the pan. If I search for aloo gobi on YouTube, I observe three distinct methods of preparing it with regards to the quantity of water used. Madhura and Mayuri use only oil and add not water at all (which gives me a lot of burned potatoes and cauliflower), vahchef sprinkles some water on it just like you and Manjula uses a lot more water. Manjula’s version is the only version which worked for me, but I want to succeed at preparing it dry. How would I solve this? Could the pots I use be the cause of the problem, or maybe the intensity of the gas flame? It seems there is some ‘secret’ to preparing this dish successfully which I can’t grasp, very frustrating. Hurrah! In the end I got a website from where I can really take helpful data concerning my study and knowledge.